As we move into the hectic holiday season, next-gen wellbeing wearables are seeing a boost in investment. One of those is the Oura ring, a crowdfunded, ring-sized wellness computer which has just secured €5.2 million in Series A funding, led by angel investors in New York. The €329 connected ring measures and interprets sleep patterns and first made waves last summer. In August of 2015, more than two thousand backers brought the project to life in a Kickstarter campaign that raised $650,000 in just over a month. Throughout 2016, the smart jewelry for wellness category grew a bit crowded, with products like Ringly, Altruis from Vinaya and the Bellabeat Leaf gaining traction. Still, the Oura team remains steadfast to their commitment to improving people's lives by helping them collect and understand biodata and visualize how their body responds to variables. "Since our Kickstarter campaign, we've been able to show with our existing customer base that our product provides much higher value than other wearables on the market today," says Petteri Lahtela, Oura's CEO and cofounder. Lahtela points to Oura's focus on "readiness" as a chief differentiator. Where other wearables insist you meet daily step count or heart rate goals, Oura takes a more holistic approach. Each day, users receive a readiness score based on how they've slept and recovered from their daily mental and physical loads. Oura is also committed to delivering medical-quality data, although it is careful not to market the smart ring as a medical device. The team is gaining credibility within the medial community, though, by collaborating with lead research centres, including the California Centre for Sleep Disorders and Icahn School of Medicine at Mount Sinai in New York. In addition to working with doctors and sleep physicians, Oura has built relationships with a number of athletes, including fitness guru Ben Greenfield and Mark Herzlich, the linebacker for the New York Giants. Lahtela is also working with life coaches and personal trainers to develop a cloud-based system where users can choose to share biodata with others. Up until now, Oura has focused on delivering on its Kickstarter promise and fulfilling pre-orders as well as selling via its online store. It has already shipped smart rings to more than 50 countries. As 70% of customers are in the US and Canada, it will use the investment money to expand their presence in North America. While there are no plans to be sold in retail locations, you may spot Oura participating in showrooms and artist collaborations in New York in the near future. Lahtela and his team will also use the funding to further develop Oura's accompanying app. 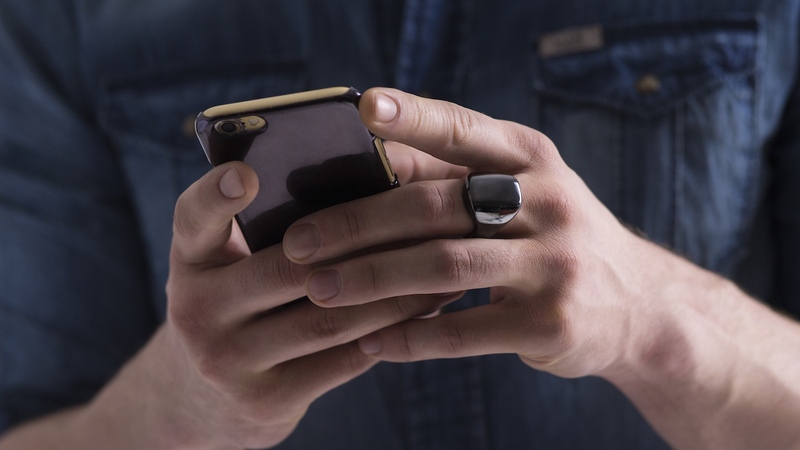 "I was impressed with Oura Ring from the start," says one of the lead angel investors, who for privacy reasons asked not to be named at this point. He admits suffering from sleep issues and turning to a number of wearables to learn more about his own condition. He was left disappointed, though, since most products on the market that claim to measure sleep equate little movement between the sheets with deep, restful sleep. Oura's position is that that sleep behaviour is more nuanced, which is why the smart ring captures heart rate, pulse amplitude, and variations in heartbeat intervals throughout the night. "People in North America are beginning to understand that activity level is just part of the equation" says the investor. "Rest and recovery are key to performing better. Walking 10,000 steps everyday isn't the answer. Oura is much more holistic." While December promises a month filled with wine-tasting and merry-making, the new year will surely bring with it a collective resolve to take better care of ourselves. Instead of starving off the glut of the holiday season with unrealistic diets and short-lived gym memberships, why don't we commit to wellness? Why don't we, as they say, put a ring on it?